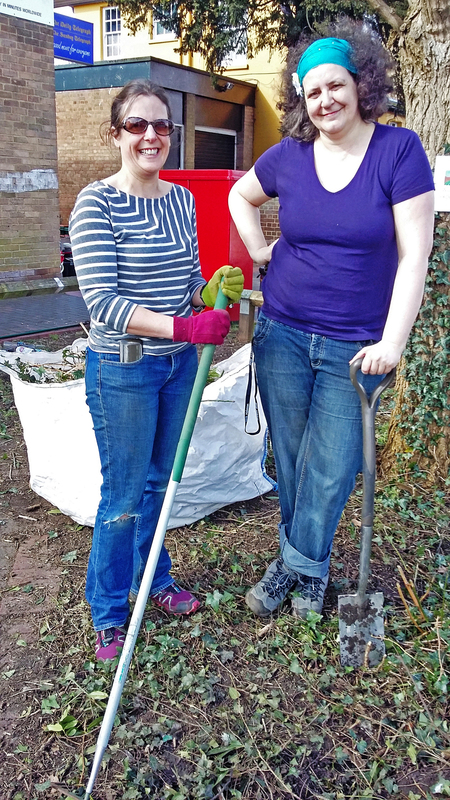 OVERGROWN flowerbeds and other neglected pieces of public land will soon be sprouting fruit and veg under an initiative launched by two Knaphill gardeners. Kate Kett and Trixie Schoenfeld are dedicated to making Woking borough a greener and more sustainable place to live. And they are looking to recruit other members of the community to help them. Kate, 41, and Trixie, 46, are members of a community project called Incredible Edible Woking. Last week, they were clearing the flowerbed near Knaphill Post Office to prepare the ground for planting. Instead of weeds, rubbish and overgrown shrubs, the site could soon be home to runner beans, tomatoes, potatoes and other sustainable edibles. Trixie who came to England two years ago from her native Germany told the News & Mail: “I fully believe in getting involved in local activities and this is the perfect opportunity. “There are small scruffy pieces of land all around Woking that can do with some tender loving care and are often overlooked by the local council and other organisations. Kate added: “The Incredible Edible initiative has popped up in over 50 communities all over the country and inspired us to get together to try something similar here. 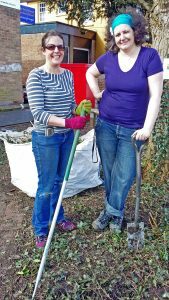 As well as transforming the area near the post office, the group has regenerated dormant areas of land at Knaphill Lower School, around the Scout Hut in Waterers Rise and in other parts of the village. Incredible Edible Woking holds an open evening event at the Nags Head Inn in Guildford Road, Knaphill, on the first Thursday of each month, to share members’ interest in sustainability and to discuss new projects. To find out more email ed.incred.knaphill@gmx.com.